If you start with quality ingredients the cooking piece is SO MUCH simpler! I have been fortunate to grow up in the beautiful State of Alaska - where we can harvest sustainable, healthy and delicious Copper River Red Salmon (aka Sockeye) every year. 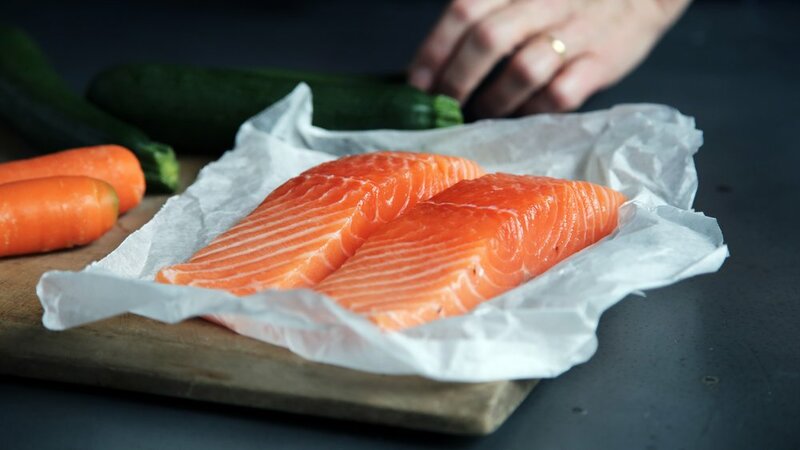 If you don't have access to Copper River Salmon, ask your meat or fish counter for wild caught Salmon harvested from Alaska or near. Line a baking sheet with aluminum foil. Put the salmon in the middle. Drizzle fillet with about 1-2 T Olive Oil. Squeeze about 1/2 lemon onto the fillet. Salt lightly (unless your salmon is smoked). Bake 15-20 minutes, or until the salmon flakes easily with a fork.